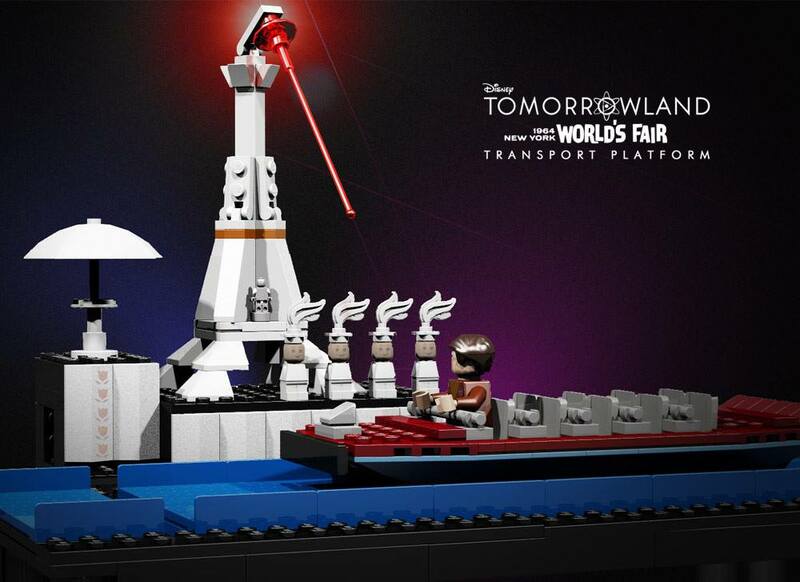 Vote for Tomorrowland LEGO Ideas Project, Enter to Win an Exclusive Pin! 6/09/2015 09:53:00 AM By: Nick Be the first to comment! LEGO Ideas, formerly LEGO CUUSOO, is an online community that hosts proposals for new LEGO sets created by fans. Once a project reaches 10,000 supporting votes, it enters the LEGO review process for a chance to become an official LEGO set! In honor of the inter-dimensional adventure of TOMORROWLAND, and in fictional celebration of Walt Disney's presence at the 1964 New York World's Fair, I designed a set for LEGO Ideas that is now live for voting! 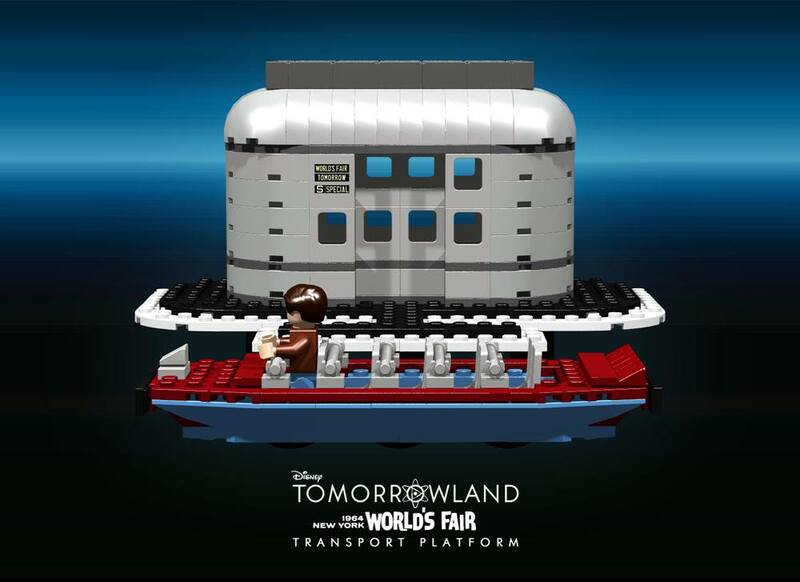 Recreate the thrilling opening of Disney's TOMORROWLAND film with this fun LEGO set! Boy genius Frank Walker plunges beneath the classic "it's a small world" attraction from the 1964 New York World's Fair to find a secret transport platform to another dimension. After your pin is "scanned" from the tip of the Eiffel Tower, just pull the end of the track to release the ramp and Frank's boat will slide down the slope! What mysteries lie further beyond? It's up to you! TOMORROWLAND shows us that we can't wait for the future to be given to us, we have to build it ourselves. Let's start building ... with LEGO bricks! 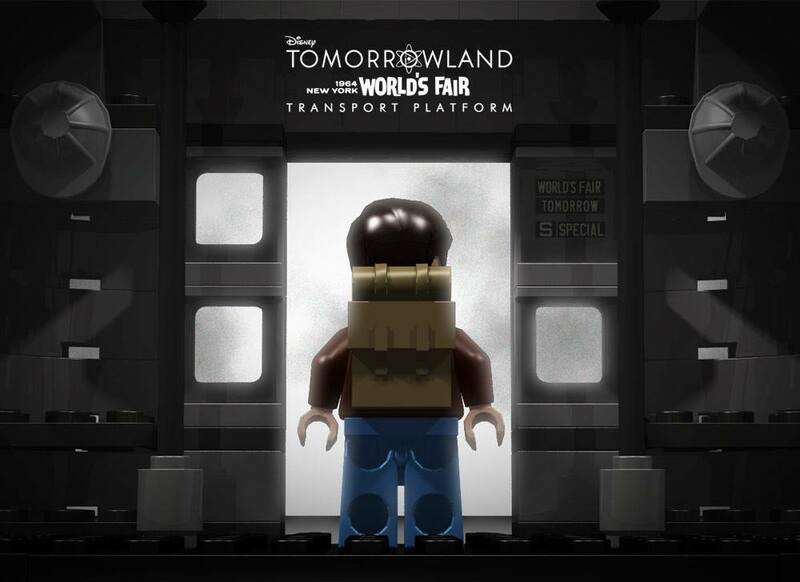 To celebrate the launch of this LEGO Ideas campaign, Tomorrowland Times is giving away an exclusive 3D printed pin replica! Make sure you are following Tomorrowland Times on Twitter (@TheTomorrowTime). 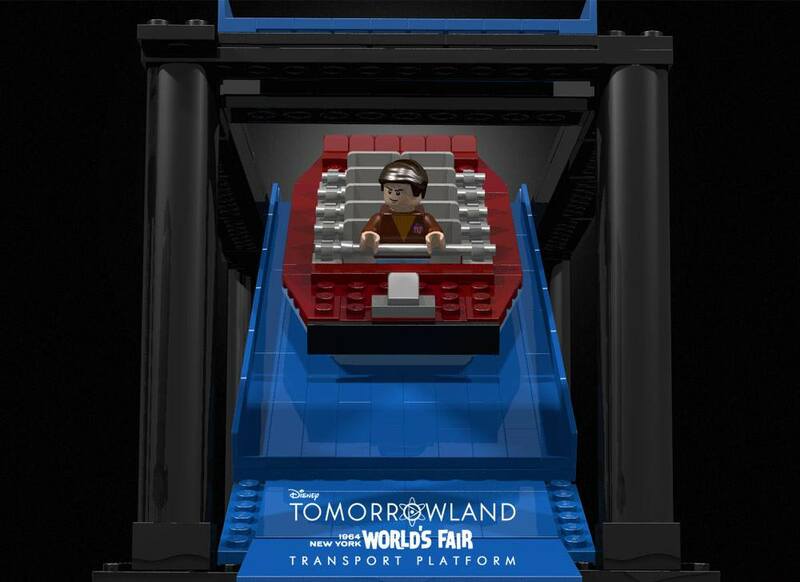 Register on LEGO Ideas and Vote for the "Disney TOMORROWLAND 1964 New York World's Fair Transport Platform" project. All entries must be in by 12:01am PDT on Monday 6/22/15. We will draw one winner at Random using Random.org, and it will be announced via Twitter! No purchase necessary. Limit one entry per person/per Twitter account. Must be 13+ to have a Twitter account. Winner will be contacted via Private Message on Twitter. To be shipped via Fedex after eligibility is determined. If winner is ineligible, a follow-up winner will be selected. 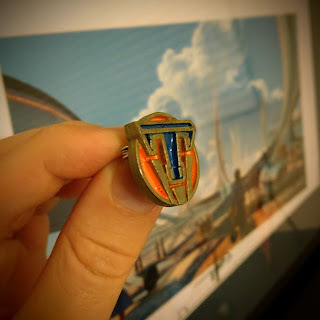 This contest is run by Tomorrowland Times, and is not affiliated with Twitter, The Walt Disney Company, or Plus Ultra. Void where prohibited.